When a partition is out of use, you would want to merge two adjacent partitions as single larger one. Then there will be more free space to use. And this feature can help you achieve your goal. This video will tell you how to merge two adjacent partitions into a bigger one without data loss easily. All the data under E partition will be merged to F partition after merging partition with EaseUS Partition Master. 1. Copy data from E partition to F partition manually. 2. Delete the E partition to get unallocated space. 3. Extend F partition with the unallocated space. After that, the result will be same as merge E to F partition. 1. EaseUS Partition Master support merging partitions on basic disk only. It cannot merge dynamic volumes. 2. The two partitions which will be merged must be adjacent. It means that there are no other partitions except unallocated space between the two partitions which will be merged. 3. After merging completed, the size of the merged partition will be the total size of the original two partitions. If there is unallocated space between the two operating partitions, it also will be merged into new partition. 4. 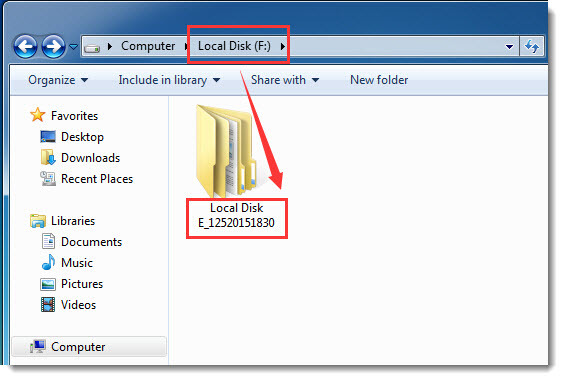 In order to ensure a bootable system, the boot partition and system partition cannot be merged as the second partition. In other words, you cannot merge boot partition and system partition to another partition, only other partitions can be merged to them. This rule also applies to the partition where EaseUS Partition Master installed.